Happy Valley Skiers take note. Build your family ski memories today with building lots zoned and ready to go with both slope side and Georgian Bay views plus direct Blue Mountain access. Design team and builders available or use your own. Very rare location right on the Blue Mountain hill side perfect to invest in both your children’s ski memories and be a part of an exclusive few that vacation and reside on Happy Valley. This large lot offers a great location to build a family chalet with potential for full hill and water views. HST is applicable. Call today for a private tour and lots more information. Due to lot line adjustments taxes to be assessed. Kevin - Hello, how can I help you? While made famous for its ski hills, The Blue Mountains has much more to offer than just skiing. The community is rich with history and offers a lively arts and culture scene. There are many opportunities for getting involved in recreational activities such as Tai Chi classes, art festivals and more. If you love the outdoors, or perhaps you love to discover local history and culture, this unique community offers a blend of both outdoor and indoor activities. 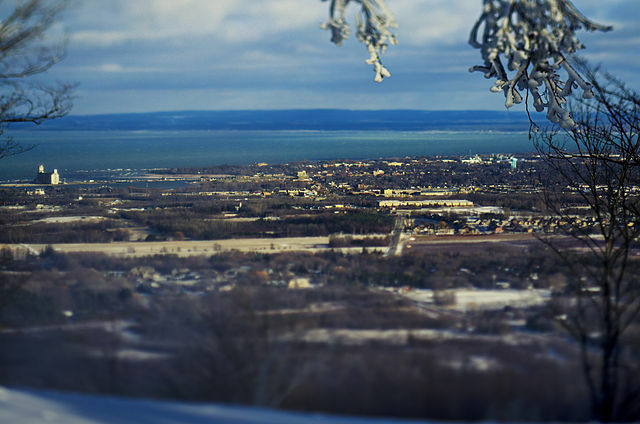 The town is named for Blue Mountain, and hence the focus of the town’s economy is focused on tourism, particularly the Blue Mountain ski resort. The Bruce Trail passes through the town. For mountain biking and cross-country skiing there is The Kolapore area. Rock climbers can take advantage of Metcalfe Rock, or the Duncan Crevice Caves Nature Reserve. On January 1, 2001, when the Township of Collingwood, and the Town of Thornbury amalgamated the town of The Blue Mountains was formed. The town offers plenty of activities for those with the desire to experience arts and culture. The Craigleith Heritage Depot museum and tourism interpretation centre showcases the town’s rich cultural and industrial history. You can also visit The Blue Mountains Public Library to experience local history or find access to resources, programming and services within the community. For the outdoor and ski enthusiast, The Blue Mountains is home to some of the most exhilarating ski hills. It boasts 42 trails ranging from beginner hills to expert runs that will challenge the most experienced skiiers.